Just five or six years ago, Egypt was dogged by power cuts. 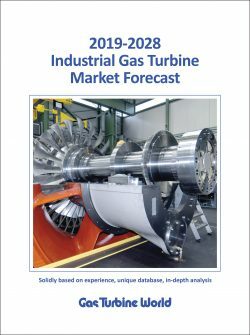 Following an almost total blackout in late 2014, the country took steps to fast-track its Attaka combined cycle gas turbine (CCGT) project, and then in mid-2015 took the bold decision to sign an agreement to develop what became known as the ‘Megaproject’. The plan would see Siemens and its local partners, Orascom Construction and Elsewedy Electric, build three huge 4.8 GW gas fired combined cycle plants at Beni Suef, Burullus and New Capital for Egypt Electricity Holding Company. As part of the megaproject, Siemens will also deliver 12 wind parks with up to 600 wind turbines and a capacity of 2 GW. At a combined cost of €8 billion ($9 billion) – with the three CCGT plants accounting for €6 billion of that total – the 16.4 GW megaproject represents the biggest ever order in Siemens’ history. But it is the three gas fired combined cycle plants that are perhaps the most eye-catching aspect of the megaproject. Not only due to their size and use of advanced H-class gas turbine technology, but also because of the timeframe in which they were constructed. A single combined cycle power plant block with a capacity of 1200 MW typically takes approximately 30 months for construction. For the Egypt megaproject Siemens built in parallel 12 of these blocks in record time and connected them to the grid – 14.4 GW in just 27.5 months. Beni Suef, Burullus and New Capital will provide electricity for around 45 million Egyptians and secure the country’s energy future going forward. Commenting on the project drivers of the megaproject, Emad Ghaly, CEO, Siemens Egypt, said: “Back in 2012, Egypt was facing repetitive power cuts, especially in summertime and the energy gap was one or maybe 2 GW. It was at this time that Siemens thought about how to solve Egypt’s energy challenges. 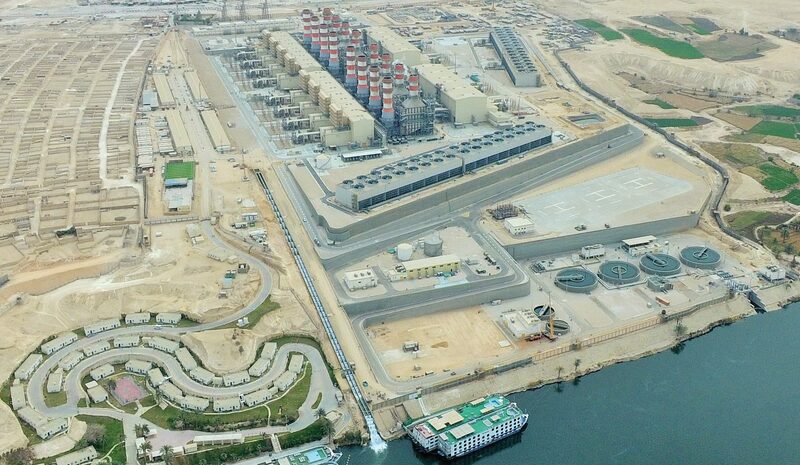 It took about a year and a half, working together with our partners and customers, to Beni Suef is one of three massive 4800 MW CCGT plants recently completed in Egypt. egypt_14_15_16_17_18 JI.indd 14 11/13/18 4:06 PM www.gasturbineworld.com GAS TURBINE WORLD September – October 2018 15 come up with a solution. The intensive discussions that followed saw a contract signed in mid- March 2015 to bring a couple of gigawatts onto the grid, including substations and other infrastructure. And less than two months later in Berlin, Siemens signed the megaproject contract that covered several components all under a single financial agreement. More recently it also signed an operation and maintenance agreement covering the three plants for nine years. Beni Suef, Burullus and New Capital all have an identical design. Each comprises four 1200 MW combined cycle blocks in a 2-on-1 configuration, i.e. two SGT5-8000H gas turbines, each with its own generator and heat recovery steam generators (HRSGs), with steam from the HRSGs feeding a single steam turbine with its own generator. This means a total of 24 gas turbines, 24 HRSGs, 12 steam turbines and 36 generators. Each plant will have an electrical efficiency of over 61%, which will ensure best possible plant economics. 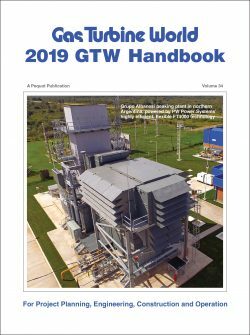 The more than 61% efficiency of the CCGT blocks is significantly higher than the electricity system average and is expected to save around $1.3 billion per year in natural gas. High efficiency also ensures low emissions. At base load, guaranteed values for NOx and CO are 25 ppm and 80 ppm, respectively. The high efficiency of the combined cycle blocks can be largely attributed to the H-class advanced gas turbines, which form the heart of the power blocks. The SGT5-8000H is a single-shaft machine of single-casing design. It is one of the world’s most powerful gas turbines in commercial operation, designed to deliver about 400 MW in simple cycle operation and over 600 MW in combined cycle operation. In combined cycle mode exhaust gas from the gas turbine, at a temperature of about 630°C, is fed to a three-pressure HRSG. The HRSG is a Benson-type boiler also supplied by Siemens. The HRSG supplies 107 kg/s of high pressure (HP) steam at 589 °C and pressure of 178 bar[g]; 122 kg/s of reheat steam (RH) at 585°C/34.5 bar[g] and 11 kg/s of low pressure (LP) steam at 247 °C/4 bar[g]. Steam from the HRSG is combined with expanded reheat (RH) steam so total flow to the steam turbine is 133 kg/s. Steam from the HRSG is fed to a 400 MW steam turbine that features a HP section and a combined intermediate pressure/low pressure (IP/LP) section. Although identical in design, each plant presented its own challenges in terms of construction. Construction of the plants was a monumental task, one that called for close collaboration between Siemens and its partners from the outset. Although Siemens had the biggest share (62%) of the contract and was consortium leader, it was paramount that the companies worked seamlessly. The three construction sites required 960 000 t of concrete, 48 000 t of rebar steel, 40 000 t of piping, as well as 24 000 m2 of tarmac for building new streets for transporting heavy components. In addition, the plants required 1000 km of I&C cable, 10 000 transmitters and 400 high-tech control technology cabinets. While Siemens had total responsibility for the manufacture, delivery, installation of equipment and commissioning of the plants, the task of managing civil works and construction was down to the local partners. Orascom Construction and Elsewedy Electric were therefore responsible for all site preparation work, e.g. fencing, site levelling and piling where necessary; and subsequent civil works, which included concreting, steel erection and construction. The footprint of each power plant is 1200 m x 600-800 m, depending on the location. Roughly the same space was needed during the construction phase for laydown area and preparation. Beni Suef, built together with Elsewedy, is located in the Beni Suef governate to serve the demand in the Upper Egypt region. The site was chosen due to its proximity to energy intensive industries and also because it is next to the River Nile, which provides a cooling source for the plant’s wet cooling towers. From the beginning of construction the site mobilised 5500 workers for a total of more than 45 million man-hours. Burullus, built together with Orascom, was one of the most challenging of the three projects, requiring 8000 workers and around 60 million man-hours. The plant is located on a 1,011,800 m2 site in the north of Egypt on the coastal line between Alexandria and Damietta governorates. It will serve the residential demand and energy-intensive industries in Kafr El Sheikh and Alexandria, which includes gas and oil production industries. Due to its geography and soil it proved to be one of the most complex construction sites the teams had ever worked on. Burullus is located in a nature reserve between Burullus Lake and the Mediterranean Sea, which meant the ground conditions were very swampy. This meant putting down more than 12,000 piles, each with a diameter of 1 m and 30 m long, which had to be driven into the ground in order to stabilise the site. New Capital, again built together with Orascom, was also a very difficult undertaking due to its location in a desert, close to Cairo. It is in Egypt’s New Administrative Capital, set to host around 5 million Egyptians along with other recreational and retail amenities. Set on a 741, 690 m2 plot, the plant uses air-cooled condensers (ACCs) – the first of its kind in the country and the largest ACCs worldwide. Work here called for a total of 5990 workers concluding more than 35 million man-hours. Coordinating the construction, manufacture, delivery and installation of all the equipment for the three projects was no small task. Managing the whole process was a huge logistical challenge from start to finish. Some 400 000 freight tons were imported to the sites from all over the world, with 7000 containers being delivered to each site. To achieve the record-breaking schedules, essentially work had to start before the official contract signing, i.e. during the last phase of negotiations, which was a very short phase. 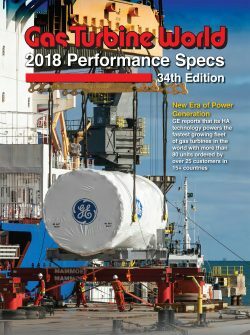 Once the contract for the 24 gas turbines was confirmed, notice was given to the Berlin factory that it would have to work around the clock to meet the delivery schedules. 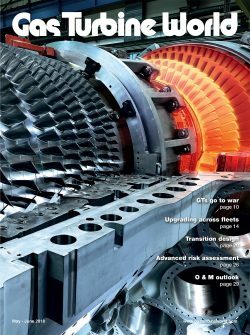 With each gas turbine and steam turbine having its own generator, the delivery of 36 generators meant Siemens had to call on both its generator factories in Muelheim, Germany, and Charlotte in the US. Twenty of the generators were manufactured in Muelheim and 16 were manufactured at the Charlotte factory. At the same time, Siemens had to manufacture the 24 HRSGs – a huge undertaking. Global sourcing was one of the early challenges. As Siemens pointed out, “the import of over 1.5 million tonnes of goods into a country means they had to have been produced somewhere beforehand”. After manufacturing the goods, the whole delivery and logistics process, outside and inside of Egypt, was a great challenge but was successfully managed. According to Siemens, this was only possible due to the cooperation and support of all stakeholders and local authorities in Egypt. In addition to their civil and construction activities, Orascom and Elsewedy also made huge investments in training of local people, e.g. in welding schools to maximize the local added value and knowledge transfer. Siemens also supported the training of a local workforce of 600 engineers and technicians that will run the plants after handover. In addition, at the beginning of March 2017 Siemens struck a strategic alliance agreement with Germany’s Federal Ministry for Economic Cooperation and Development (BMZ) to support occupational training of around 5500 of the local workforce over four years. The agreement aims to create a new sustainable training platform that will be servicing many industries and SMEs in Egypt. As part of the agreement, Siemens joined forces with the Deutsche Gesellschaft für Internationale Zusammenarbeit (GIZ) GmbH on behalf of BMZ, to set up and run a joint training centre as well as strengthen an Egyptian public vocational training institute. The programme is designed in line with Egypt’s objectives outlined in ‘Egypt Vision 2030’ to promote long-term economic growth, create new jobs and increase the competiveness of Egyptian industries. Egypt’s gas fired megaproject is not only of significance to the country’s long-term prospects and its people but also to the power industry in terms of what is possible. The milestone of first power to the grid took place in January 2017, i.e. 4.8 GW to the grid in just 18 months. The total 14.4 GW was connected to the grid in June the following year, fulfilling the promise that Siemens made to the Egyptian government.